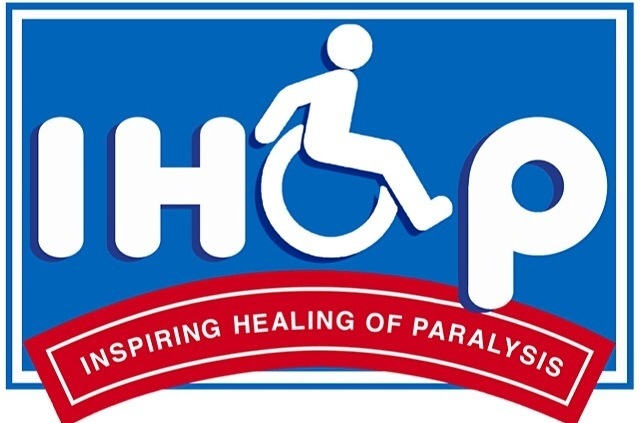 Just a few quick updates… a couple of weeks ago we had an extremely generous offer from the owner, Ray Podesta, of the IHOP, off of Euclid in Upland, to have a day of fundraising for all who eat at IHOP that day, where 50% of the proceeds would go to the foundation. It really was incredible and generous offer, and incredible day of fundraising and support for all who came out. This day was completely made possible from two of our very own clients, Brandon Rayburn and Chris Seibel who headed up organizing and correlating the entire day and making the connection from Mr. Ray Podesta with the foundation. The proceeds generated an incredible $3500, that will go directly back to helping others and keeping many in recovery. It truly was an incredible turnout for all who support be perfect, and for so many other people within the community who came out just to show their face and get a bite to eat. It’s little acts of kindness like this, and the little fundraisers throughout the year that keep the foundation afloat and keep us all going. For somebody like Ray, who owns and runs many IHOP’s, the fact that he even considered and acknowledged the foundation and was willing to put on a fundraiser like this, truly tells a lot about him as a person and his character, and there truly needs to be more people like Ray in the community who are wanting to give back. This past weekend, on April 31, I had the honor and the privilege to go to one of our clients, Mark Hall’s, annual poker fundraiser. This is a fundraiser unfortunately for the past several years I have been unable to attend, but was so blessed to be able to be in town and be able to go this year, as it was at the beautiful home of another one of our clients, Eric Kerber’s families house. Showing up to this event, with several of the Project Walk trainers who all carpooled down there, to Corona, surely had the event hit home for me and it was so exciting to see how all of us within the spinal cord injury community, including our trainers rally behind each other, and all are so supportive of each other’s endeavors, and fundraising efforts simply to keep us all in recovery and keep us moving forward together. It was a pretty incredible turnout, with well over 100 people, for one of the greatest families that I have met along this incredible journey, in the likes of both Mark and Kelleigh, and it is so moving to me to see the type to support that they were given that night, because there is nobody else in the world that deserves that type of support and involvement from all of their friends and family to help make Mark’s dreams come true again of not only walking, but also remain true of being an incredible dad to his three little girls. 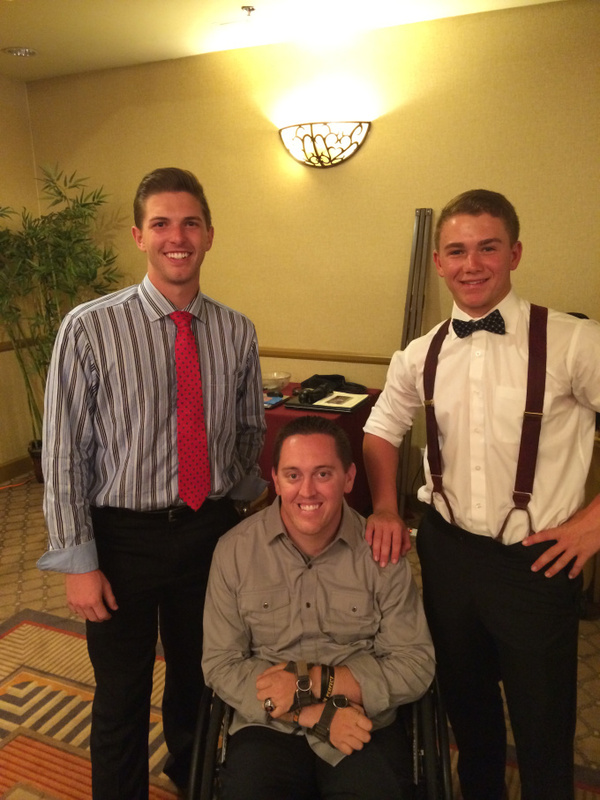 And of course among other things lately, I had some great involvement and incredible support this year, from the Claremont high school baseball team, and was honored to be able to go to their banquet, this week on June 2. Yet again they showed their incredible support not only towards me, and inviting me in, and making me feel as if I'm still part of the program, but also showing their incredible support towards the foundation with paying great tribute, and even some fund-raising efforts along the way. Being at the end of the year banquet on Monday put such a warm feeling in my heart, and took me back to the glory days where my roots came from and something I’m so prideful about, and Claremont baseball. I’m so proud of all the players and coaches involved in the program this year, and look forward to another great season next year and for many years to come. For some many of the great people that there are to be thanked within that program this year, like the Bernstein family, the Galluchi family, the Witt family, all the great coaches and players, I am so blessed to live and be a part of this great city of Claremont. Newer PostAll too late summertime update!